*Not applicable to VIP room, banquets, promotional and non-discounted items. *Please mention the use of offer when placing order. *Each coupon for one table only. *Valid until 31 Dec 2017. *Jumbo Kingdom reserves the right of final decision in case of any disputes. Jumbo Kingdom is a modern complex of dining, sightseeing and cultural attractions. Enjoy this premier tourist and fine-dining establishment with a 100 HKD voucher with your iVenture Card. Jumbo Kingdom was first established in 1976 has been a required stop on any trip to Hong Kong for many years. 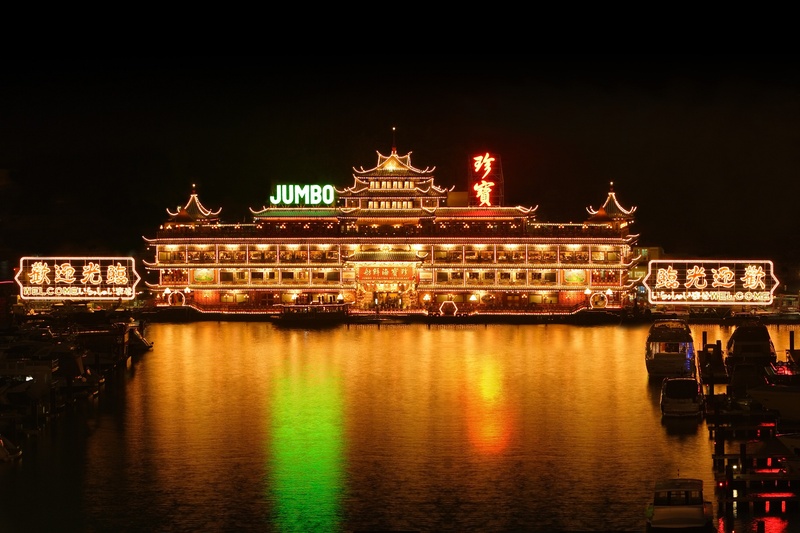 Jumbo Kingdom has recently been upgraded and is now considered a theme park on the sea. Make sure you go hungry as there is plenty of delicious options to try!